Zoe Tiganouria with many remarkable artists and the contribution of the Byzantine Conservatory Orchestra in the Palaio Faliro Municipality Theater, on Saturday, 22 of October. 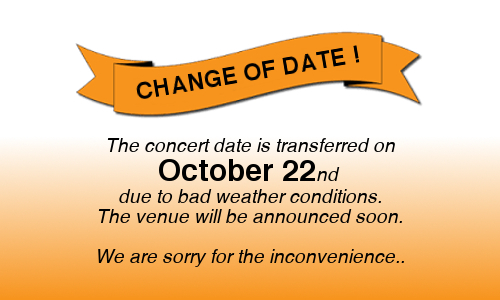 The concert date is transferreddue to weather conditions, on October 22nd in the Palaio Faliro Municipality Theater. We are very sorry for the inconvenience..